기금 전달식은 2015년 10월 15일 생명과학과 교수회의실에서 진행됐습니다. 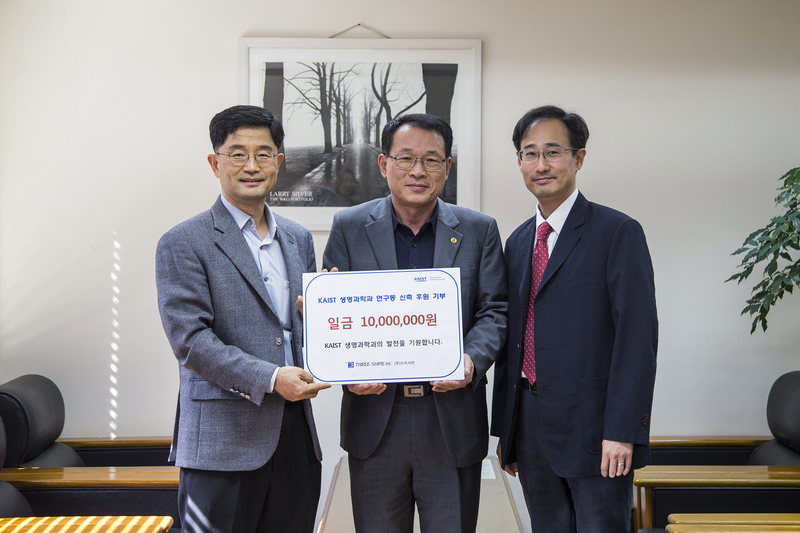 THREE-SHINE Co., Ltd donated \10,000,000 as a construction fund for new research building. The funding ceremony was held at professor conference room of the Dept. of biological sciences.